Thomas P. Peschak sheds light on the three distinct marine realms that wash the shores of the Arabian Peninsula. 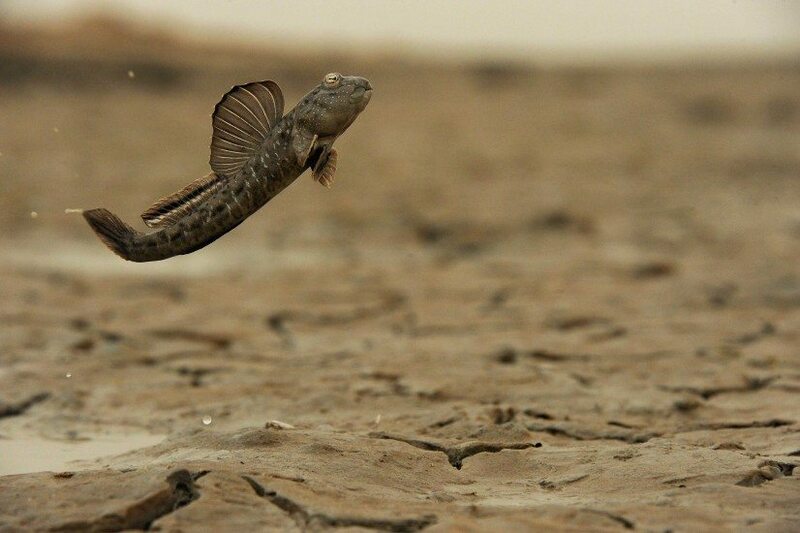 For centuries the Afar people of Djibouti have told stories of a sea monster that lives in Goubet al-Kharab (the Pit of Demons), a loch at the western end of the Gulf of Tadjoura. Jacques Cousteau visited the region in the 1980s, investigated the legend and disclosed that he saw the dark shape of a gigantic fish at great depth. He reportedly placed a dead camel in a shark cage and lowered it to the bottom of the gulf. When he raised the cage it was crushed and the camel was gone. 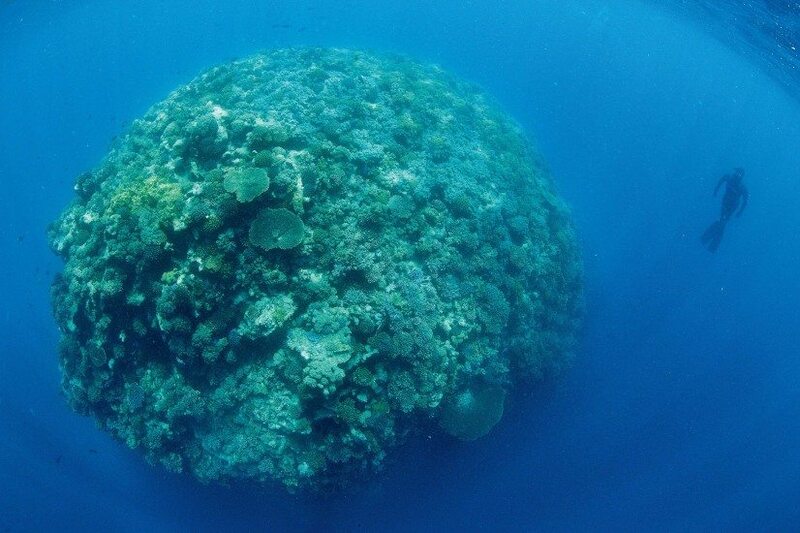 Thirty years later I am in the same spot – alone, underwater and in total darkness. A narrow beam of light descends from the ship and I am just outside it. Dark shapes appear and disappear, like ships looming in and out of fog. This was not my first encounter with sharks in Arabia’s seas; my relationship with sharks and this fascinating region goes back a long way. I first came across sharks at the age of 16, off the southernmost tip of Egypt’s Sinai Peninsula. A huge school of barracuda was circling like an overcrowded carousel along the wall of Shark Reef and weaving in and out of the mass was a trio of blacktip sharks. I tried to get close, but the current held me at a distance. The sharks were mere specks in my photographs, but the seed had been planted: I wanted to get closer. This, my first visit to Arabian waters, proved to be life changing, for it was here that I fell under the spell of sharks and this extreme realm where the desert meets the ocean. A small flock of Socotra cormorants roosts deep in a fjord along Oman’s dramatic and rugged Musandam Peninsula. 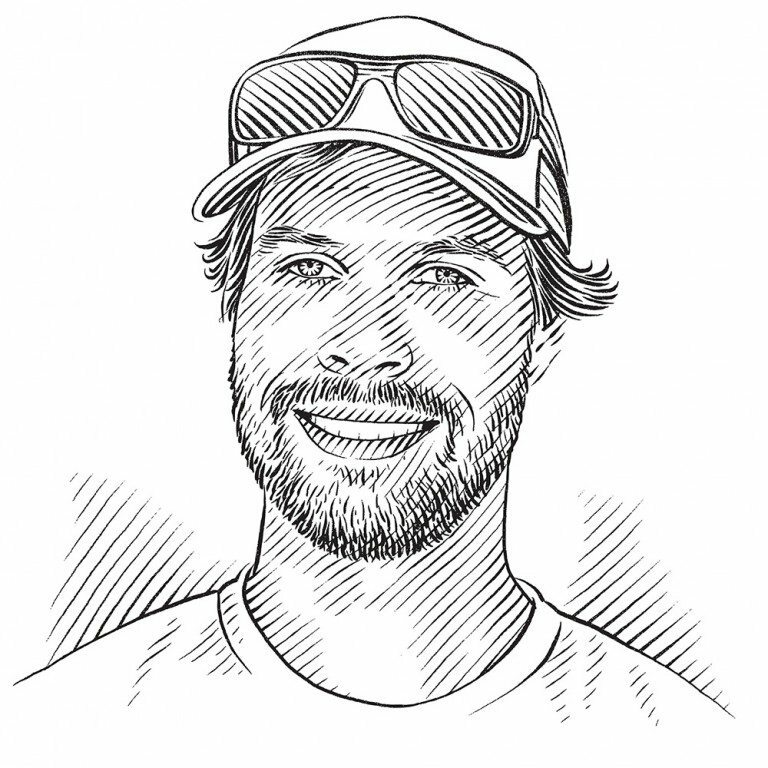 Every year between November and February the Gulf of Aden attracts hordes of whale sharks; in just 11 days I encountered more than 100 different individuals. The Gulf of Tadjoura, at its western end, is the temporary home of sharks of about two years of age and less than three metres in length. A mere 100 kilometres from the entrance to this gulf, across the Strait of Bab-el-Mandeb from Djibouti, lies the coast of Yemen, home to Arabia’s most industrious shark fishermen. A set of whale shark fins is worth at least US$10,000, so the Gulf of Tadjoura whale shark population can be estimated to be worth more than US$1-million. Nevertheless, the whale sharks off Djibouti remain unmolested by shark fishermen. This is due mainly to the presence of a large multi-national military force involved in the global fight against terrorism and, more recently, Somali piracy. The shape of the gulf is such that any boat has to pass through or under a gauntlet of foreign naval vessels, fighter jets and patrolling helicopters. 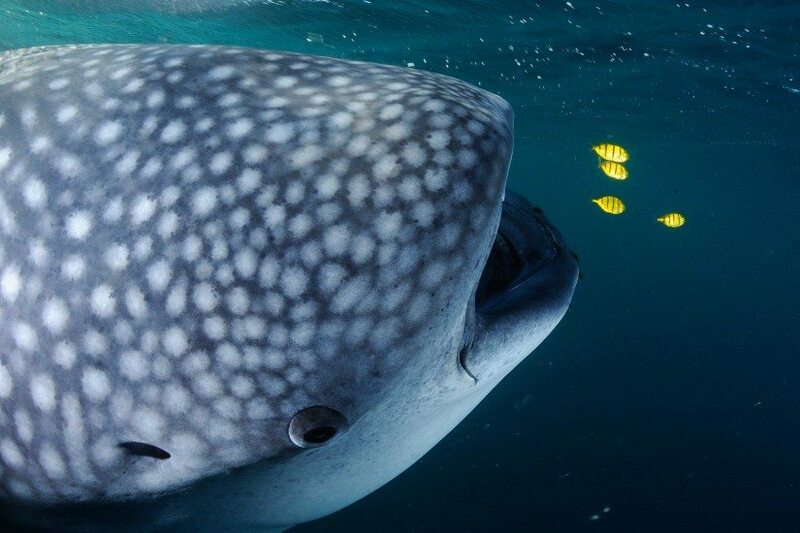 Greater protection for whale sharks is an unintended – even an odd – side effect of surges in terrorism and piracy, yet the presence of the armed forces also poses a threat to these giant fish: more than 50% of them bear propeller scars caused by speeding military boats. Arabia’s seas have been written about prolifically since biblical times, but more recently they seem to have fallen into obscurity. Many of the region’s coastlines are off limits to foreigners and the threats of terrorism and piracy, together with harsh climatic conditions, have kept most visitors away. The Arabian Peninsula today is better known for oil, conflict and terrorism than for coral reefs, sea turtles and sharks. Few people know that the seas surrounding it form one of the most diverse bioregions in the world, comprising three distinct marine realms: the Red Sea, the Arabian Sea and the Arabian Gulf. Despite being situated in close proximity to one another, each is so different from its neighbour that they could be located on opposite sides of the planet. A loggerhead turtle returns to the sea early one morning after a strenuous night of digging a nest and laying eggs. More than 30,000 loggerheads nest on Oman’s Masirah Island each year, making it the world’s largest turtle nesting site. Inaccessible to foreigners to a large extent, the Red Sea off the Kingdom of Saudi Arabia is one of the most heavily restricted marine realms in the world. Whereas the Egyptian waters of the opposite shore have been visited by millions of scuba divers, the 1,770-kilometre stretch of Saudi Arabian coast is uncharted territory for underwater photography. Corals thrive in the crystal-clear, nutrient-poor waters of its northern section, where the Wedjh Bank and the recently discovered offshore ‘Saudi Great Barrier Reef’ are considered a global coral reef hotspot, with the level of reef fish endemism approaching 70%. 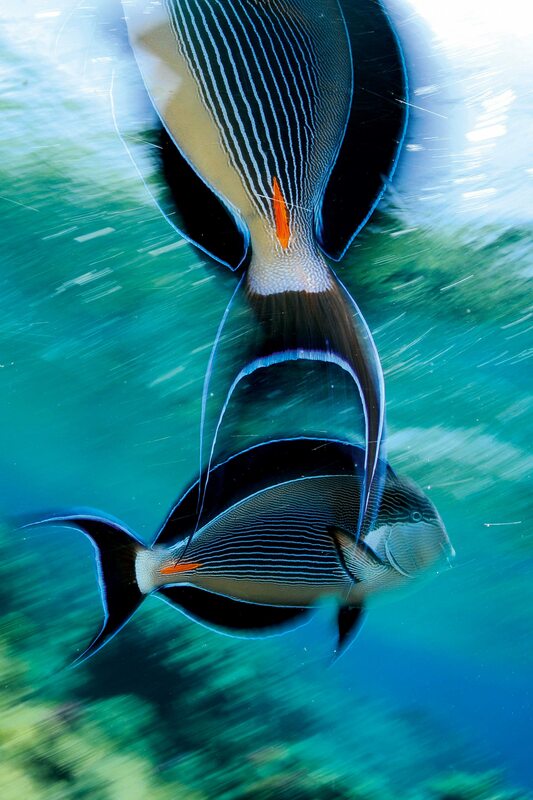 Signature species are the Arabian surgeonfish, the Koran angelfish and the newly described Red Sea silky shark. Further south, nearer the border with Yemen, nutrients swept into the Red Sea from the Indian Ocean fuel productivity levels. The waters grow murky and sea-grass beds and mangrove forests replace corals. These injections of nutrients attract shoals of fish, whale sharks and manta rays. The juxtaposed Arabian Sea is unique in that it provides seasonal cold-water habitat nestled between tropical seascapes. 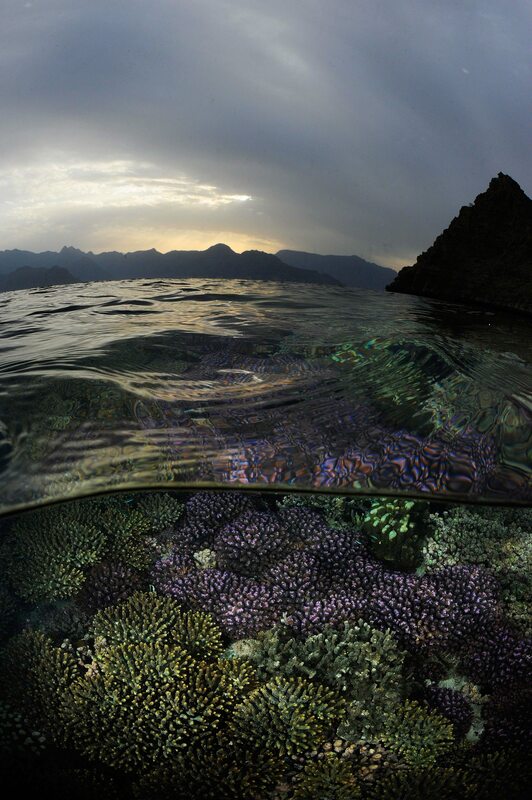 When the south-west monsoon blows from May to September, along the southern coasts of Oman and Yemen there is an upwelling of cold, nutrient-rich water from great depth. 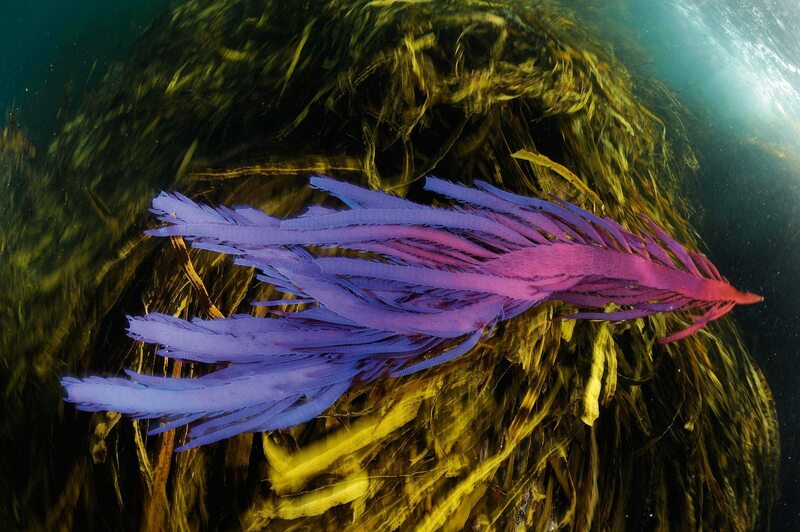 The water temperature drops from 28 °C to 15 °C and kelp and seaweed forests thrive. Surprisingly, coral somehow survives the cooler months and for part of the year these two opposing ecosystems occur side by side. The kelp jungles are inhabited largely by coral reef fishes such as porcupine fish and angelfish, but also by temperate species that otherwise occur as far away as South Africa. Humpback whales take advantage of this seasonal boost in productivity. After giving birth off the coast of Oman, they forage locally for food rather than undertake the arduous migration to Antarctica. In fact, this is the only population of humpback whales in the world that does not migrate. Large numbers of sperm whales also occur and, thanks to the proximity of the continental shelf to the shoreline, may be seen within five kilometres of the coast. 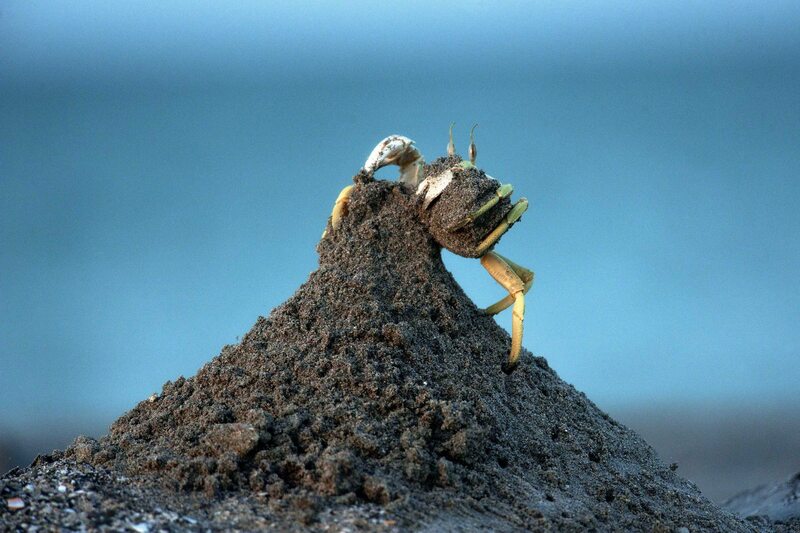 In addition, the beaches adjacent to the Arabian Sea host some of the global hotspots for nesting sea turtles. 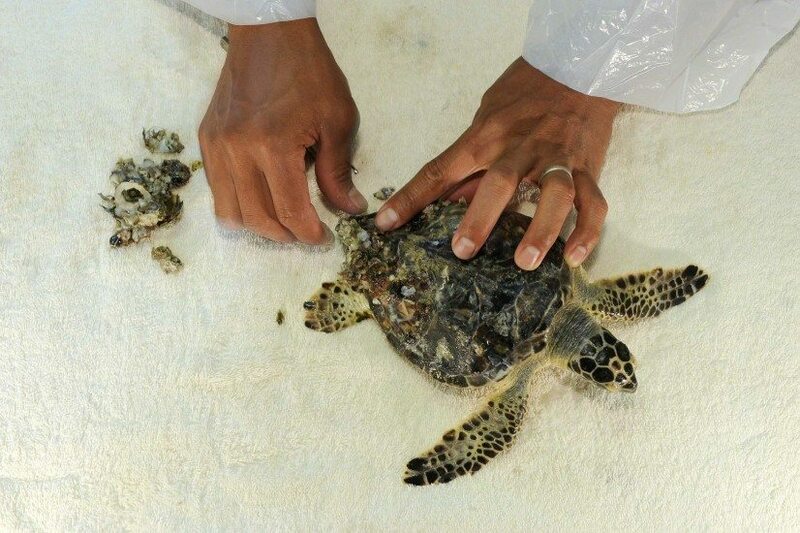 The island of Masirah is the world’s largest nesting site for loggerheads, while the Damaniyat Islands have the highest density of hawksbill turtle nests in the world. The third marine realm, the semi-enclosed Arabian Gulf, is the most extreme shallow-water marine environment on the planet. In its western reaches off the coast of Bahrain, the sea-surface temperature sometimes exceeds 40 °C in summer; in winter it can drop below 10 °C. 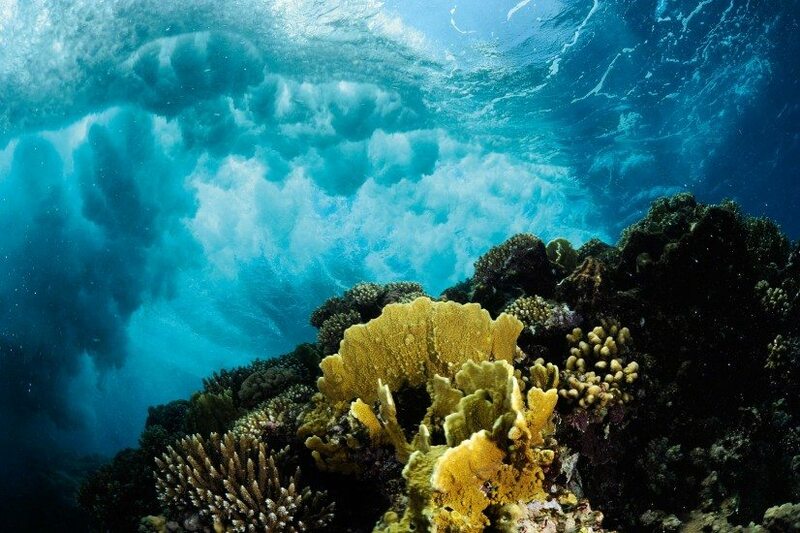 And yet the corals endure without bleaching, even though the region experiences temperature and salinity fluctuations that are extreme for a coral reef ecosystem. When the salinity level rises to more than 80 parts per thousand, first green algae beds and later salt crusts called sabkha, which are dominated by blue-green algae, replace the corals. 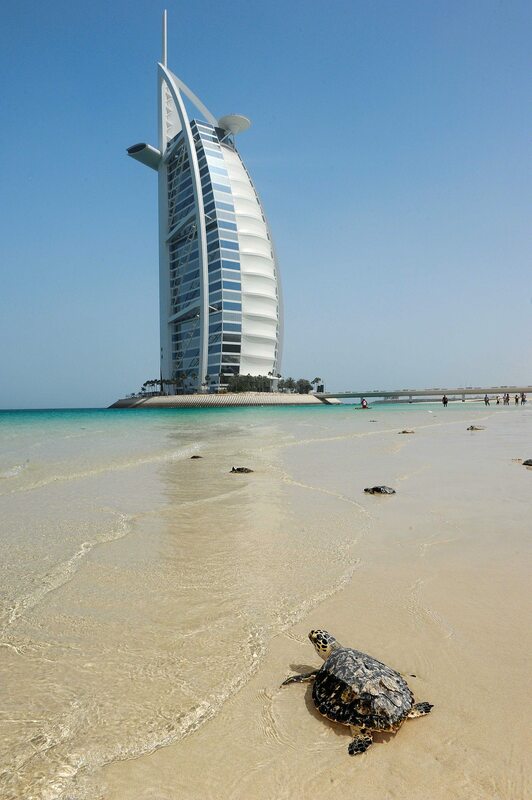 Despite harsh environmental conditions and an average depth of less than 30 metres, the Arabian Gulf harbours unique marine wildlife. Ten species of sea snake occur in it, and the Hawar Islands off Bahrain host the world’s second-largest population of dugongs and the largest colony of the endemic Socotra cormorant in the world – all of which contribute to making the Arabian Gulf a global hotspot for marine species. decades of conflict. This oil tanker was allegedly scuttled on Saddam Hussein’s orders to block access to southern Iraq from the sea. The socio-economic landscape of Arabia is no less extreme than the region’s natural environment. The coast exhibits a mix of affluent development, rural fishing villages and patches of uninhabited land. Less than 50 years ago Dubai was a quiet fishing village; today it is an exponentially expanding hub of industry. In an effort to diversify from a petroleum-centric economy, fisheries, tourism and real-estate development are booming. The reclamation of land has destroyed much of the natural coastline and places a heavy burden on the marine environment. If conservation measures are not introduced quickly, Arabia’s seas are poised to become some of the most threatened and heavily degraded ecosystems in the world. The transition to a consumer society is creating a massive plastic refuse load that accumulates on the beaches. Fishing is the life-blood of many communities in poorer countries such as Yemen and, with international markets now accessible, they are becoming major exporters of shark fins and reef fish. 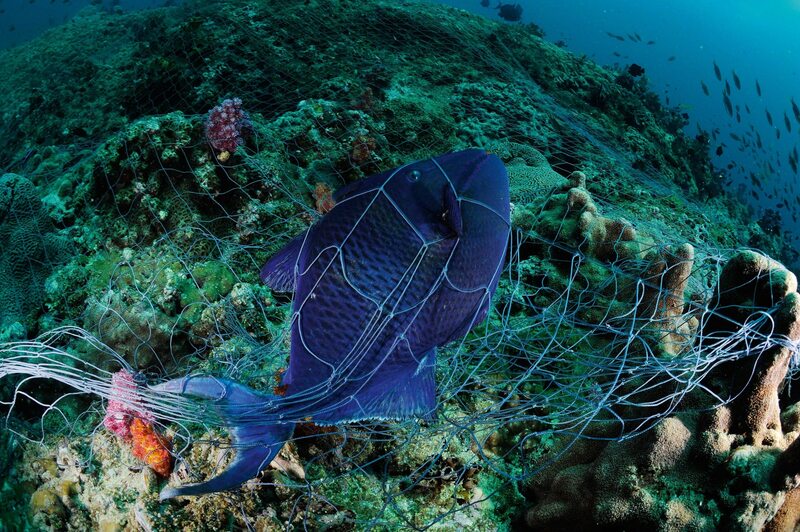 To combat such threats, marine conservationists are fighting an uphill battle. Yet they are putting protective measures in place, and artificial coral reefs, the replanting of mangroves, the rehabilitation of sea turtles and awareness activities about dugongs and marine reserves are now becoming reality. This photo-essay is a showcase of Arabia’s rarely glimpsed marine biodiversity, the arc of industrial development casting its long shadow on the sea, and the effort of some to preserve what is left of this ancient and vital pocket of the world. 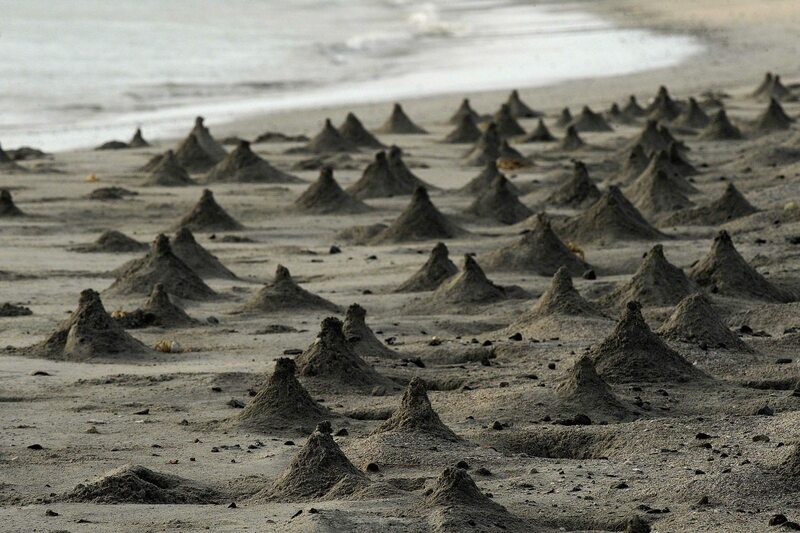 A sea turtle nesting on Masirah Island, off the southern coast of Oman, has left this track. The full moon sheds its glow on the beach and clouds, while a small flashlight lights up the turtle track.